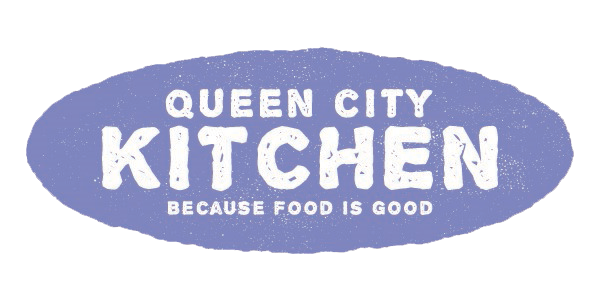 Recipe re-post from April 4, 2013. Macaroni and cheese is the ultimate in comfort food. Homemade macaroni and cheese has this way of making me feel all warm and gooey on the inside, which is basically how I want my mac and cheese to be: warm and gooey. And let’s not forget cheesy. Cheese is what makes the world go ’round, and it also elevates macaroni’s status in the comfort food hall of fame. As the star of the show, good cheese is a must. I’m a 4-cheese kinda woman, and American cheese is king in my book. My choice of cheese is dictated by the flavor profile I’m going for with my mac and cheese. And I like to shake things up a bit by throwing in a few unexpected ingredients. I’ll usually add some meat for protein and maybe some vegetables for the health factor. This time around, I went retro with my mac and cheese. When I was a kid I loved chicken cordon bleu. What’s not to love about chicken breast packed with ham and cheese and fried to a golden perfection? Chicken cordon bleu just seemed so fancy to me. And since it was French, so I thought, that made the dish extra fancy. I later learned that chicken cordon bleu actually originated in Switzerland back in the 1940s and not France. 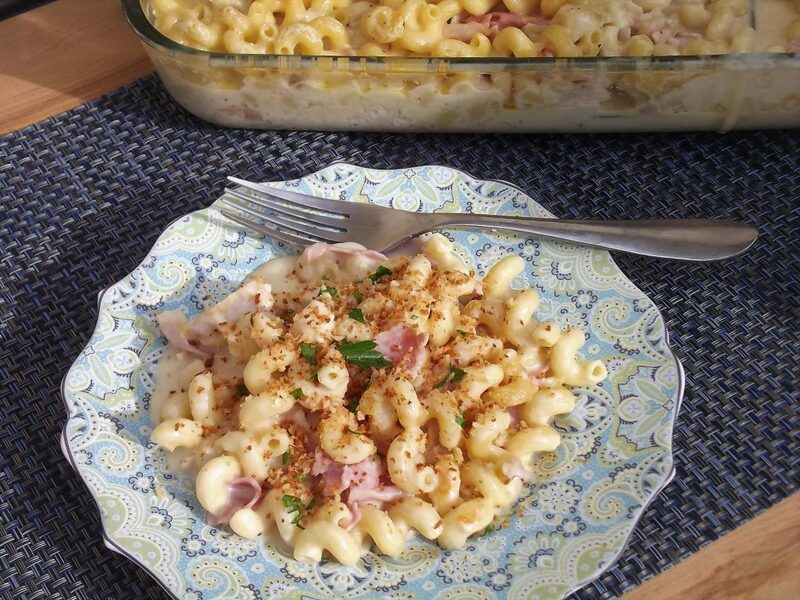 When you combine chicken cordon bleu and mac and cheese, you get the ultimate in comfort food. It becomes a hearty casserole perfect for an everyday meal or dinner guests. 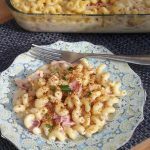 What I love about this recipe is that it transforms ordinary mac and cheese into something special with simple ingredients you probably already have in your refrigerator. Instead of baking the casserole with breadcrumbs on top, I like to sprinkle each serving with toasted breadcrumbs—the crumbs stay crispy longer. Bring a large pot of salted water to a boil. Add the pasta and cook about 8 minutes. (The pasta will be undercooked. It will finish in the oven.) Reserve 1 cup cooking liquid and drain well. Set aside until ready to use. Meanwhile, heat the half-and-half, chicken broth and chicken bouillon in a small saucepan, but don’t boil it. Melt the butter in a large pot and whisk in the flour. Cook over low heat for 1 minute, whisking constantly. While whisking, add the hot liquid and cook until thickened and smooth, about 2 minutes. Stir in the Dijon, hot sauce, Worcestershire sauce, 1 teaspoon salt and ½ teaspoon pepper. Remove the pot from the heat and add the cheese, stirring to melt. Add the chicken, ham, and cooked pasta to the pot and stir well. Add the pasta water, ½ cup at a time, to thin the sauce to a desired consistency. Season to taste with salt and pepper, if necessary. Spray a 9-inch by 13-inch baking dish with cooking spray. Pour the pasta mixture into the dish and bake until the sauce is bubbly, about 25 minutes. Meanwhile prepare the breadcrumbs. Heat 1 tablespoons vegetable oil in a medium skillet over medium heat. Add the panko and cook until golden brown and crisp, stirring frequently, about 8 minutes. Season with salt. Remove the pan from the heat and toss the bread crumbs with parsley. Let the macaroni sit for 5 minutes before serving. Sprinkle each serving with toasted breadcrumbs and serve. This entry was posted in Casserole, Dinner, Entree, Pasta, Recipes and tagged cheese, chicken, ham, mac and cheese, pasta on September 14, 2017 by Andria Gaskins.